"Wow, Your Living Room Looks Amazing! What if I told you, you could create a totally new and different looking living room, without spending $100's if not $1,000's of dollars? And what if I told you, you could use what you already have... and you could do it yourself! Would you be excited to learn how that is possible? 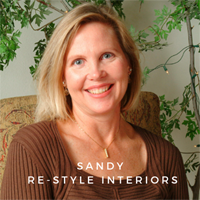 After many years working in the interior design field and completing hundreds of room makeovers, I have created an easy to follow, step by step guide that takes you through the fundamental process involved in executing a well-planned redesign. The 5 easy steps I outline in your kit, will guide you through this simple design process. You'll discover the basic design principles which you can use over and over in any room you wish to restyle. Stop feeling the frustration of trying something different that ends up leaving your design unflattering. Take a big step forward with your next decorating project by using this no-nonsense guide. Eliminate the stress, and let your creative juices start flowing as you follow the 5 easy steps to your Awesome Room Makeover! A professional room redesign can cost anywhere from $350 and more. Your DIY Room Makeover Kit can be yours for only $40. In addition to the easy to follow instructions, you will receive numerous photo examples to help you place your furniture properly. Are you ready to take on your next design project? P.S. You will also learn the secret tip for hanging artwork properly and you will discover the #1 most neglected feature of your room!